We’ll see you at the show! 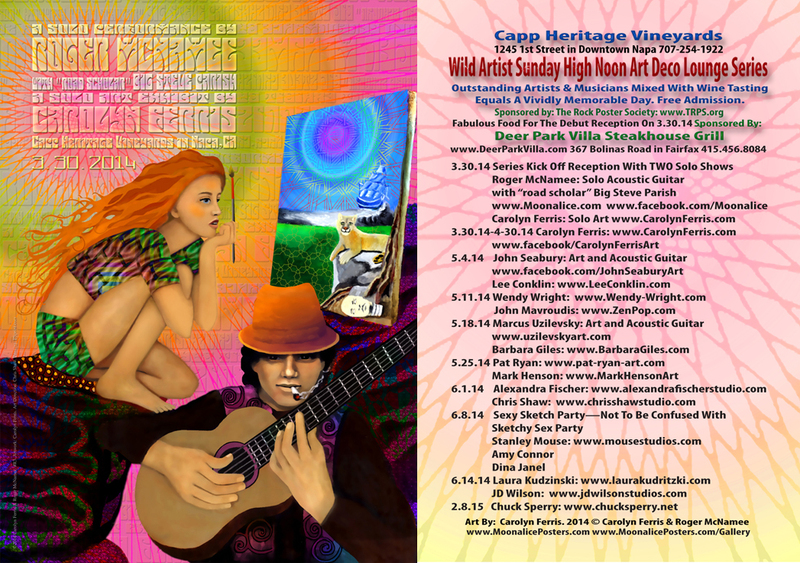 Carolyn Ferris and Roger McNamee will debut the Wild Artist Sunday High Noon Art Deco Lounge Series with TWO solo shows (Solo Art and Solo Acoustic Guitar) on March 30, 2014 at Capp Heritage Vineyards: 1245 1st Street in Downtown Napa 707-254-1922. Have a look at the great lineup!